On a recent visit to Belgium, we discovered a memorial to fallen Mansfield soldiers at St George’s Memorial Church, Ypres. The memorial chair reads …. In Memory of L.F. Bowen Oct 9 1917 and C. Bowen May 27 1918. 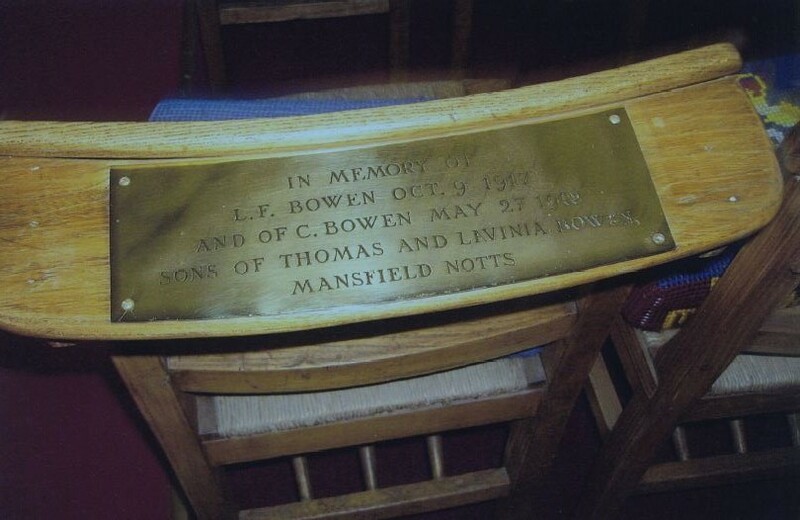 Sons of Thomas and Lavinia Bowen, Mansfield, Notts…. 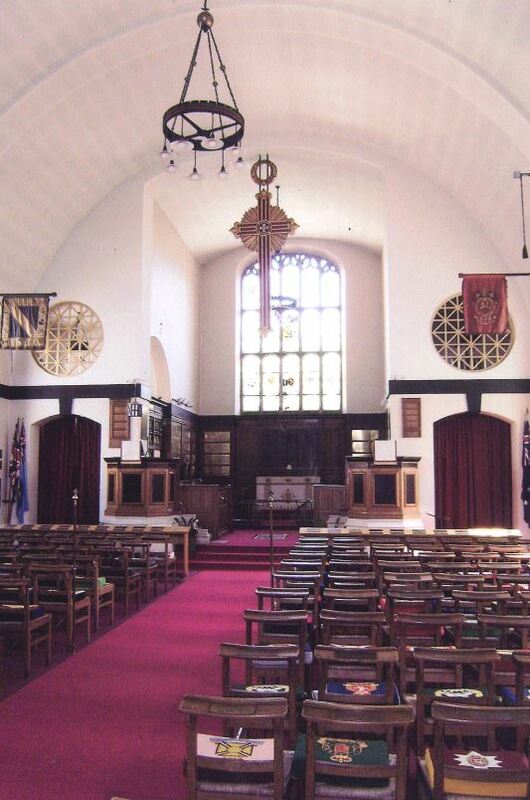 At the end of WW1 Field Marshal French appealed for an Anglican Church to be built in Ypres as a permanent memorial to the dead but also as a meeting place for the visiting relatives. The Bishop of Fulham opened the church on Palm Sunday, 24th March 1929. Every item in the church, the plaques on the walls and the chairs, the windows, the banners and the church furniture are all in memory of someone who gave their lives for freedom. How did we ever miss this one when we were there in April. Would love to have visited this Church, although there was plenty of the history of WW1 to see and take in. Ypres gives one such a strange feeling and closeness to what happened 100 years ago. The names on the memorial chair relate to Leonard Francis Bowen born 1897 and his brother Charles Bowen born 1900. The family lived at 134 Nottingham Road, Mansfield. I am interested in knowing what has happened to the Old Mansfield Society over the past couple of years. It use to have regular talks about old Mansfield, does it still exist? Yes the Old Mansfield Society is still going and they have a programme of lectures every year.